This was a super fun card to create. This is another awesome image from Doodle Pantry called Pumpkin Peeps. This was the featured set this month. If you played in the challenge, then you were lucky enough to have received this set for free! I printed the image on white card stock and colored it with Copic markers (panda face - C0; panda body - N5, N6, N8; pumpkin - YR04, YR07, YR09; stems - YG95; YG97). All of the other pieces on this card were cut using my Silhouette Cameo and then assembled, including the sentiment. Everything was mounted on cream card stock and then an orange card stock base. Simply awesome my friend. Just stunning with those fabulous bright colours. So cute Susan! Hard to believe it's almost fall and time for Halloween images. Adorable panda; cute card. Thank you for playing along with us at MFP Simple Salutations. Adorable card Susan. This is one of my favorite images! this is so way way way cute and pretty.....a keeper to case for sure!!! Love this -- sooooo cute! This card makes me smile! That panda is so cute~ Well done! very cute panda in a pumpkin card. thanks for playing at MFPaHC simple salutations. This card is darling, Susan. You are SO super creative and I always enjoy your sweet cards, and feel very blessed to have you share them in our challenges. Thanks for stopping by to link up with us, and I hope you will join us again very soon. Best of luck to you in the random draw this week. 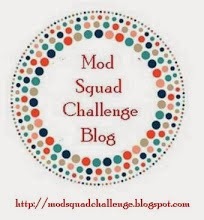 Your cards are SO delightful, and deserve a win, so I hope this will be a lucky week for you either at our challenge blog, or another you've entered. I will be rooting for you!! 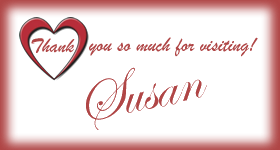 beautifully done Susan Thanks for joining us at Red Carpet Studio this week. Egads girl! That is the most precious card I have ever seen. I love your coloring and layout and design.....and that multi colored vine! Fabulous! What an adorable card!! I really like that little panda image! Thanks so much for sharing with us at Word Art Wednesday. Your card is just adorable. I love that panda. Love this! Your design and cutting is fabulous! Makes me wish for a silhouette. Wow...I agree with Pat...makes me think I need a Silhouette! This is darling Susan! I love this! Such a cute image and perfect for our challenge. Thank you for joining us at The Squirrel and the Fox.